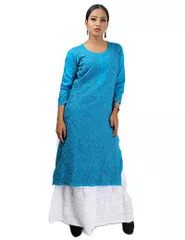 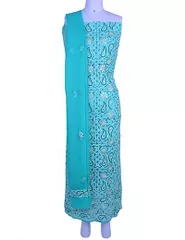 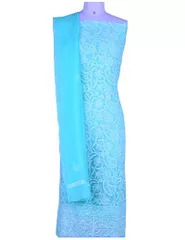 Sublime sky blue rayon kurti. 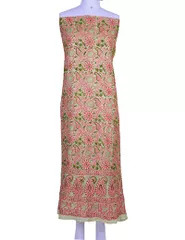 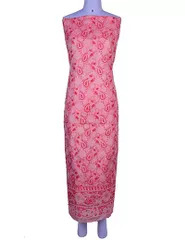 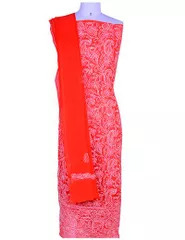 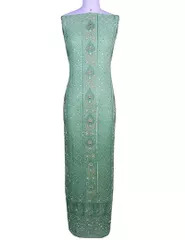 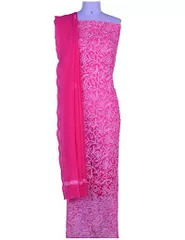 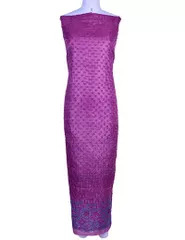 Embellished with intricate chikankari work in matching thread. 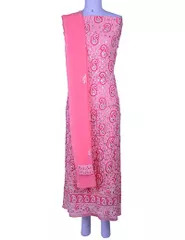 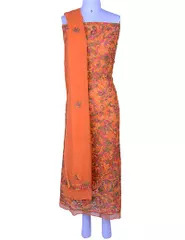 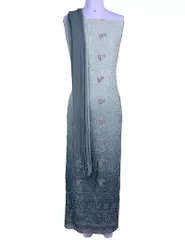 The long kurti is adorned with bel-booti, chana patti and murri pattern all over. 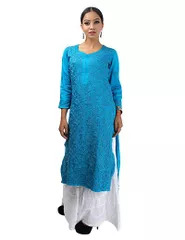 This kurti is crafted in round neck and full sleeves. 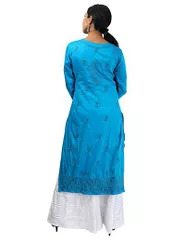 Blue Thread , KSASHMEERI Neck Channa Patti Murri Work Full Jaal .